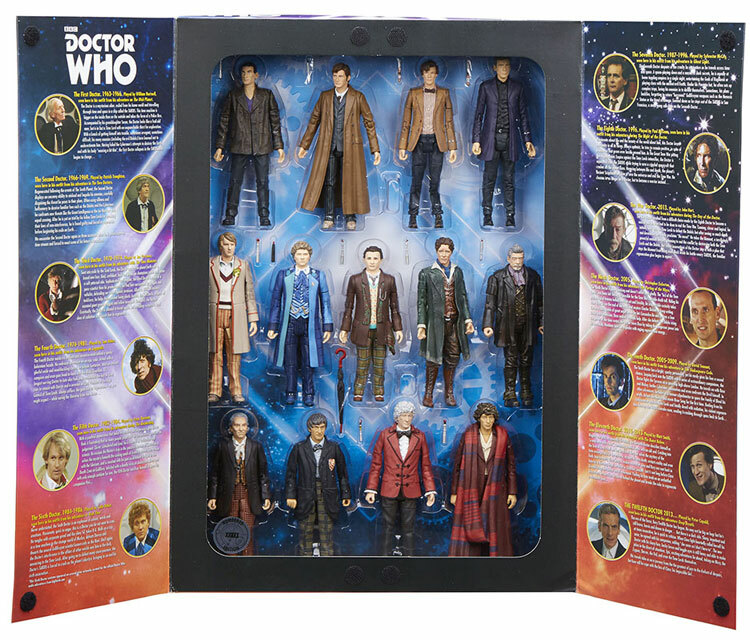 This all new, exclusive 13 Doctor Collector Set includes all incarnations of the Time Lord seen to date. 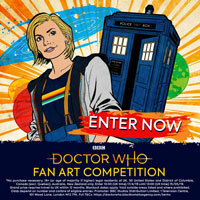 Each figure has been given a brand new colour palette with a more naturalistic tone and is painted in a way that’s specific to a particular adventure seen or heard on TV or in audio form. Each set is a numbered edition and is presented in collector packaging with a pull out tray and opening gate-fold front. The First Doctor in his outfit from his adventure on The Web Planet. The Second Doctor in his outfit from his adventure in The Two Doctors. 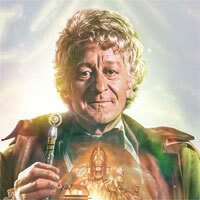 The Third Doctor in his outfit from his adventure with The Time Monster. The Fourth Doctor in his outfit from his adventure on Logopolis. The Fifth Doctor in his outfit from his adventure during The Awakening. The Sixth Doctor in his outfit from his Big Finish audio adventure Real Time. The Seventh Doctor in his outfit from his adventure in Ghost Light. The Eighth Doctor in his outfit from his adventure during The Night of the Doctor. The War Doctor in his outfit from his adventures during The Day of the Doctor. 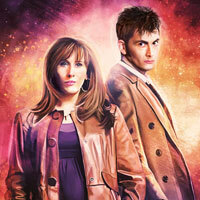 The Ninth Doctor in his outfit from his adventure The Parting of the Ways. 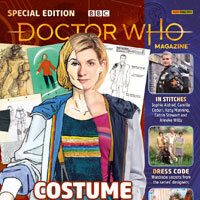 The Tenth Doctor in his outfit from his adventure in The Shakespeare Code. The Eleventh Doctor in his outfit from his adventure with The Beast Below. The Twelfth Doctor in his outfit from his adventure in Deep Breath. 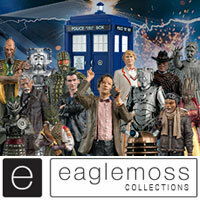 Based on What You See Which Are Your 3 Favourite Figures in This Set? I have not got this set yet getting for Christmas 2017 as a gift to myself but I have to say a few things alot of these i love like the 6th 8th 4th they are alot of cool variants but some let the side down in my opinion like the 10th doctor in his standard outfit but with some small modifications made i would of preferred his blue suit or some other variant and the 7th doctor is very similar to the 11 doctor set they could of gone for a different outfit but the one that I’m most disappointed is 11th as again it’s his standard release in his red bow tie and tweed what was massively produced but only with some modifications made i would of preferred his blue bow tie and blue shirt as it’s similar but different but better still they could of put him in his 7b costume witch I perfur. Do you think any other figures will be realeased/re released soon before Christmas? Any rumours? Long gone are the days from 2008 when we had series 4 figures everywhere! 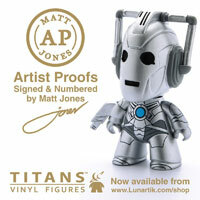 Will be asking for some series 4 figures for Christmas? Any recommendations? Any good series 4 figure recommendations? Well, it really depends what ones you have and how much the ones you want go for on Ebay. 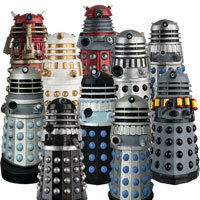 I’d recommend the Supreme Dalek, but that is expensive on Ebay. 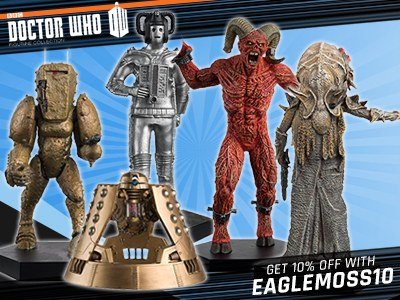 They did do a Series 4 B&M re-release set a few years back with Rassilon, Donna and River in Silence in the Library costume and just this recent wave of B&M sets included a monsters set with a NuWho Sontaran, the design having first appeared in the Series 4 Sontaran story. So if you are looking at Series 4 figures, I’d start looking at those B&M sets and looking for anyones you can find cheaply. It’s being sold by YUK. Do they dispatch from the US? It’s sold by YUK but it’s still dispatched by Amazon UK. 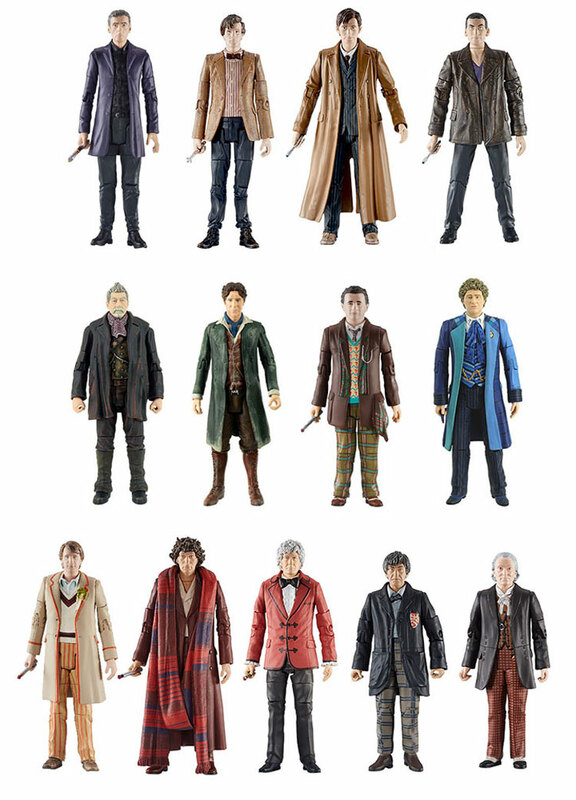 Got the 11 doctors set and bought peter capaldi (12 doctor ) in a separate box but really want the war doctor. Please reply if you know. Popcultcha still have it for $24.99/ about £12.50. But that doesn’t include postage and import costs. I was Given this set as a present Last year. But mine is not numbered. What does this mean? It just has “X” instead of each number. Love mine and its still in perfect condition and hasn’t been opened yet either. Is this likely to come back in stock? I gave in and got one from Calendars. Came today with a hefty £43 customs bill. Apart from the heavy price, everything is in order. Now if only I could get two legs and an arm for my K1 Robot, without having to rob a bank. I bought mine from Calendars at the discounted price and they put the discount price on the package. Amazingly, it did not attract the attention of customs. If your in the UK I’m very surprised at that! Probably all that moaning I did to Calendars about their awful company policies. Arrived today, number 0624, it’s a beautiful set, I’m hoping some new monsters and aliens will come out anytime as well. Popcultcha still has it for about £150 + postage and import costs. Sadly they were always going to sell seeing as this was a limited release. whocentral.sydney have this set in stock. Thank you. So it might not be picked by customs? How does it work? 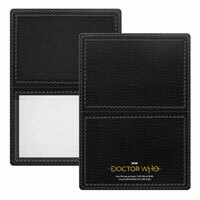 I bought my 13 Doctor set from Calendars.com when it first came out, cost £107 and never got picked up through customs. So far me guess I was lucky and consider it a bargain. “So, each figure has been given a brand new colour palette with a more naturalistic tone and is painted in a way that’s specific to a particular adventure”… I’ve been looking retty closely, and I cannot discern any difference between the Capaldi Doctor in this 13 Doctors set and the “Black Shirt” Single Capaldi figure. Am I colour-vision impaired? The Jacket is more of a bluey colour. To be quite honest, this seems to be the worst variant of the set, that and the figure is worse than the original if you ask me. I got mine from Sheffield. Meadowhall got 4 in I got the first. I rang up everyday for about 2 weeks. Ask. 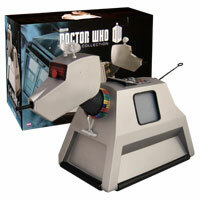 11 Doctors set is not a limited number…….it was a mass produced item as opposed to a 3000(?) made set! £29.99 was a majorly discounted price for the set. Ok why do my comments keep getting deleted? I wonder if ToysRUs will get anymore sets? Or whether FPI will actually get any. Its looking likely to me that they won’t be, otherwise surely they would have them up by now? Christmas is coming and Toyrus must have sold 600 sets in a matter of 2-3 weeks. We don’t know, but so far all the numbers that people have gotten from TRU have all been ranging between 3000 and 3600, which, on top of the information reported being on the actual set CO shipping boxes, seems to indicate there are 600 sets all in all from TRU.